THE BLEACHER BRIEFINGS: Can Dual Engines Power the New York Jets? Can Dual Engines Power the New York Jets? The staple of a dominant team in the modern day National Football League is a great quarterback. Teams that always contend for a title -- the Patriots, Packers, Saints, Steelers, and Colts (during the Peyton Manning era), all have (or had) success due to the leadership of an elite QB. The Jets look to defy methods of conventional winning this season by trying to implement an offense with two players getting touches at the quarterback position. This is something seen more commonly in college, but New York is hoping to obtain a much needed boost to their suspect offense using this method. Mark Sanchez will get the nod as the primary signal caller, and Tim Tebow will be the wildcat and (in some instances) goal line QB. Many people are already questioning if the use of the wildcat will disturb the flow of Sanchez during the game. "I think it will, because you have to let one quarterback get in the rhythm of the game," Jets receiver Santonio Holmes said. On the other hand, the thought of a Sanchez/Tebow combo makes many eyes light up. The concept of having Tebow is supposed to inject energy and an explosiveness that has been lacking from the Jets offense for a few years now. By having him under center in the wildcat, Jets coaches hope to give a deceptive look on offense that the team has not had since Brad Smith ran the wildcat. The general thought is, Tebow will not let defenses just sit run on the formation -- opening up the possibility for either big runs or passes, since Tebow can run or throw. He will be an asset to the wildcat due to his experience running read-option plays at the University of Florida. Also, Tebow's gritty power running style provides a quarterback that can contribute to Rex Ryan's ground and pound strategy. The biggest issue that may arise from the whole Sanchez/Tebow situation is if Sanchez struggles at times during games. Many argue that Tebow was played in Denver just to sell tickets and please fans. 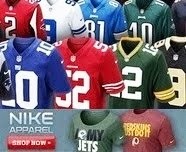 If Sanchez struggles and the fans demand Tebow, will the Jets give in? Sanchez is already trying to put the idea of Tebow starting to rest. "When you come in the huddle, not to sound selfish here, but this is my huddle," he said. Sanchez is starting to take a more vocal leadership role, something he hasn't done in previous years. This season, he is the veteran among younger receivers -- as opposed to being the young signal caller among veteran wideouts. 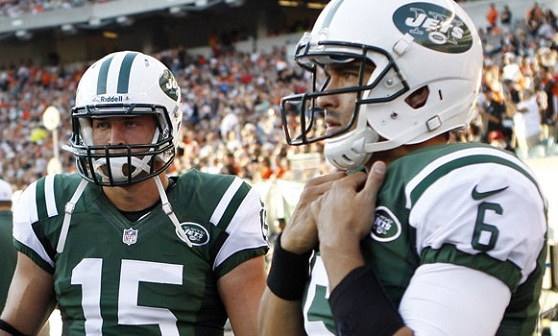 Throughout camp and the season, the Sanchez/Tebow duo will raise questions left and right. The biggest question that time will answer is did the acquisition of Tebow help the Jets fly to all-time highs, or did the deal "Te-blow" all chances of the Jets gaining the chemistry that alluded them last season and keep the team grounded? Please tell me you guys arent gonna start covering the damn Jets and Tebow nonstop like everyone else does. Enough is enough. I feel sorry for Sanchez. He's in a no win situation. As soon as he screws up Tebow will become the full time starter. Sanchez has improved every season that he's been in the league. He deserves better.